CADL members can now check out PA Speakers, a spotting scope/digiscoping kit, and even more board games! Trying to catch up on our favorite films? Check out one of our brand new Roku devices with preloaded movies. Some even come bundled with Wi-Fi hotspots. The Leslie Library has some fantastic new programming coming up. Adults are invited to join us for Game Night on the second Wednesday of each month at 6 p.m. If you want to learn how to do photography, our new Shutterbugs Photography Group meets on the 4th Saturday of each month from 12–2 p.m. All skill levels are welcome. 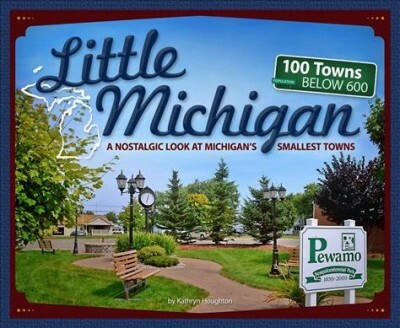 If you’re interested in history, the Friends of the Leslie Library group is sponsoring Author Night with Kathryn Houghton, author of Little Michigan. Ms. Houghton visited 100 small towns in Michigan to research their history, people, and stories. We hope you can join us on Wednesday, Jan. 30 at 6:30 p.m.